750 m swim/20 km bike. 16+ yrs old as of Dec 31. A great occasion to test your level of readiness after winter training or to try your first triathlon. New this year is a sprint aquabike, 750 metre swim, 20 km bike, no run. Swim format will be similar to last year with continuous starts and 2 swimmers per lane. Waiting area will be in the gym with only a few swimmers waiting on the pool deck. 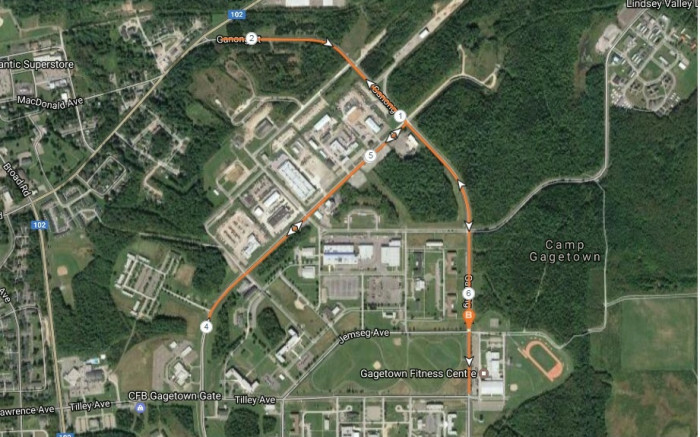 2 or 3 laps of the bike course which is 95% closed to traffic will be required depending on the distance being done. 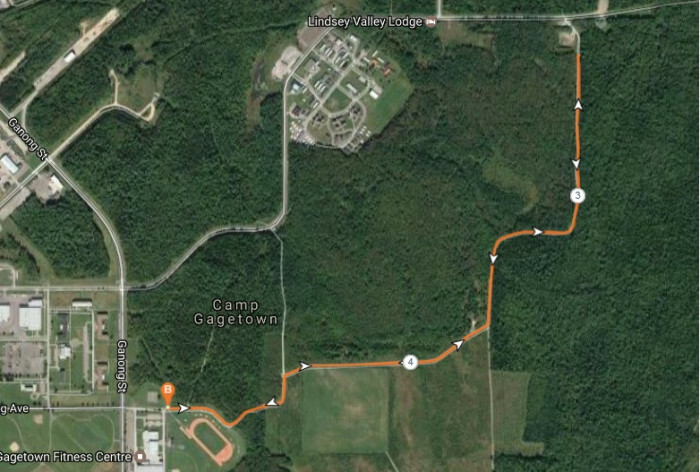 The run course will be out and back on very nice and wide trails with well indicated turn points for each applicable race distance. All athletes registered by Sunday 07 May will receive a dry fit race shirt. There will be finisher's medal for all finishers as well as medals for 1st, 2nd, 3rd, male/female for sprint tri, try-a-tri, aquabike, duathlon, and juniors. Race course maps and additional info will be posted here in the next few days. 3 x laps for the sprint triathlon, sprint duathlon, and sprint aquathlon. 2 x laps for the tri-a-tri. Sprint triathlon run and sprint duathlon first run. 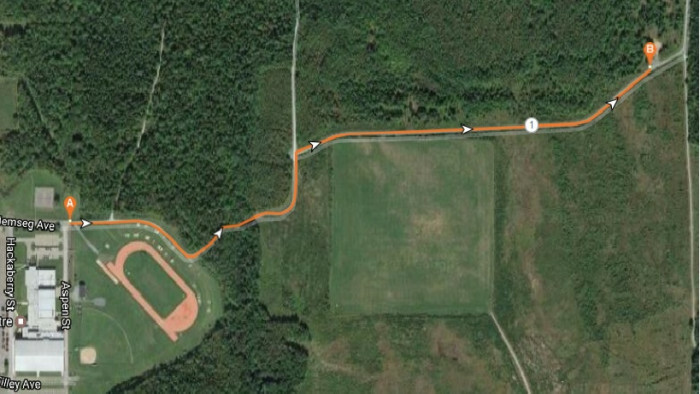 Sprint triathlon out and back run course. There will be water at the half-way turn point. Out and back try-a-tri run and duathlon second. Turn point is 1.25 km from the start. The following athletes are asked to attend race briefing # 1 in the gym at 0800hrs. The following athletes are asked to attend race briefing # 2 in the gym at 0900 hrs. May 28 6:30 AM ADT - Race check in and transition opens. May 28 8:00 AM ADT - First pre-race briefing. May 28 8:30 AM ADT - Swimming start. May 28 9:00 AM ADT - Second pre-race briefing. May 28 9:15 AM ADT - Duathlon start. May 28 12:00 PM ADT - Awards ceremony.